Slappy Cakes is an all day breakfast restaurant that started in Portland, Oregon, USA in 2009. They only have few branches here in the Philippines so it was only last Sunday that we were able to try this. After our LazerXtreme experience we moved to SM Aura just to eat. It was already lunch time so most of the fastfoods and restaurants were packed. Then we saw Slappy Cakes and good thing there is still an available table for us. The staff handed us the menu. 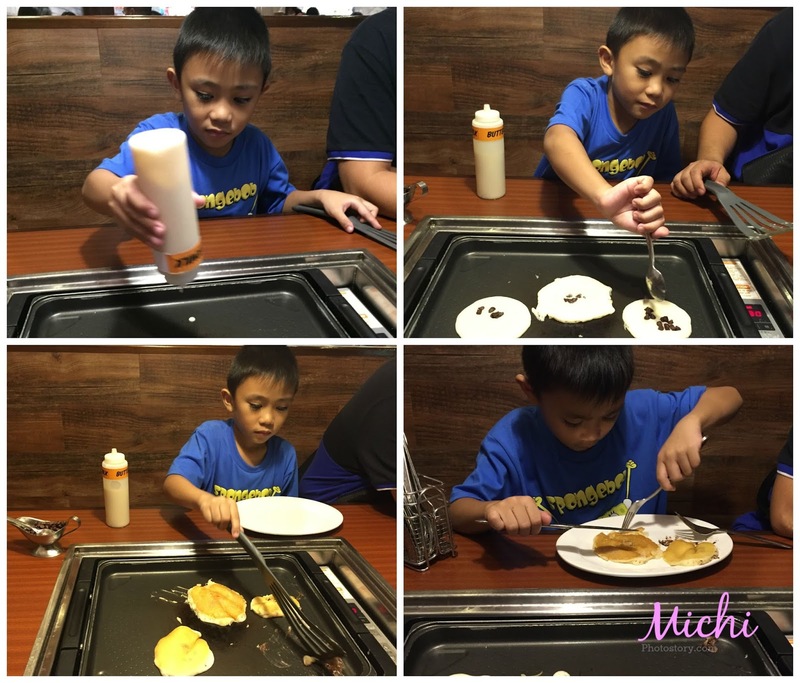 Even it was lunch time, I still ordered pancake so my son can cook his own pancake. 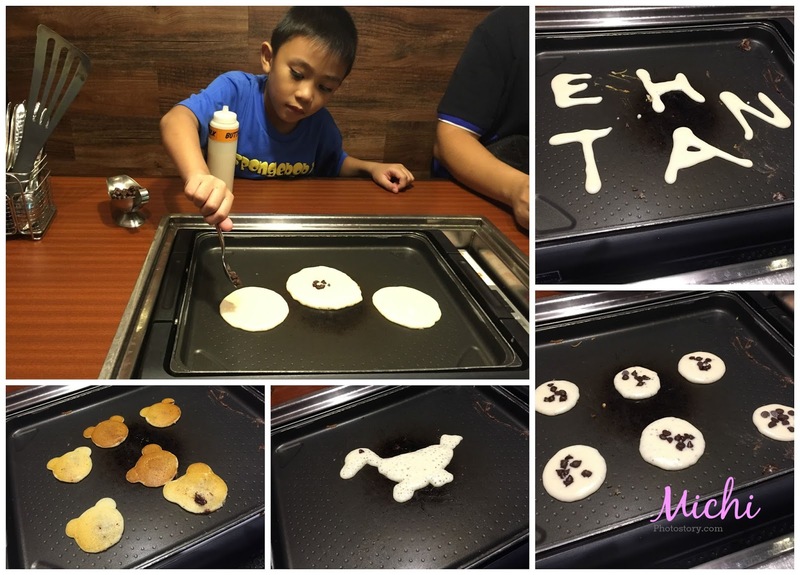 Well, he knows how to cook pancake at home but I know that he will have fun because he can create different shapes and styles of pancakes. 2. Pick some fixins - (Sweet) chocolate chips, mangoes, bananas, and coconut. 3. Add some toppings - blueberries, creamy peanut butter, lemon curd, apple sauce, chocolate sauce, whipped cream, hazelnut spread, cream cheese frosting. My son chose Buttermilk P225 + Chocolate Chips P45. 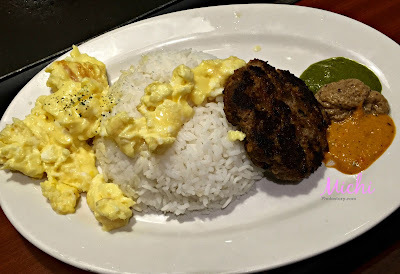 Hubby and I ordered Slappy Moco P250 and Pop’s Pot Roast P390. While waiting for our order, we started cooking our pancake. Good thing we ordered pancake because it took them so long to serve our food, twice pa kami nagfollow up. For the 8oz batter we were able to make these pancakes. After cooking and eating pancake, our order came. Slappy Moco - Grilled hamburger party with steamed rice, sunny side eggs with mushroom, red bell pepper and spinach sauces. Pop’s Pot Roast - The classic comfort food. 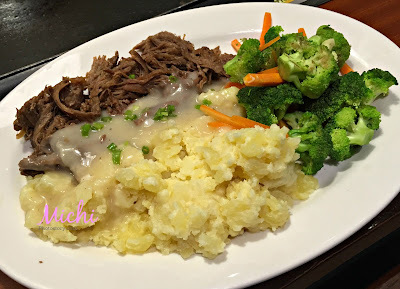 Tender, slow cooked beef with gravy, sauteed broccoli and carrots with your choice of rice or mashed potatoes. I did not enjoy their mashed potato because I want a creamy and smooth texture. The gravy is so limited and bland. The price is on a pricey side but the serving is big and I can’t even finish my order. Taste is just ok, nothing special. I guess they need to improve on the food presentation and service. 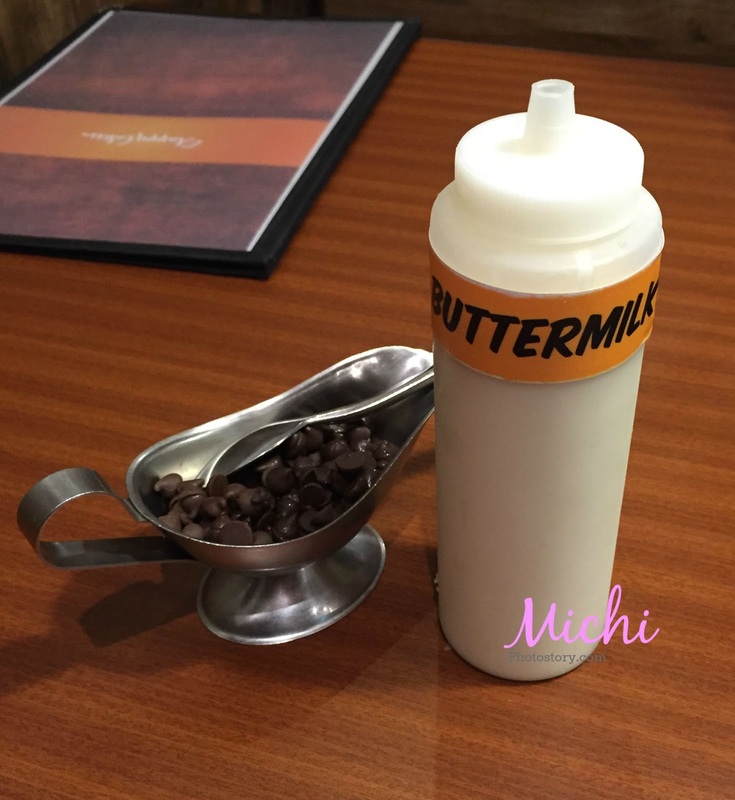 Good thing our table is beside the counter where you can get water and maple syrup so we served ourselves na lang. Staff are nice pero parang ang tagal lahat maski sa pag bill-out. ayy, I hate waiting for my food to be served and annoyed when it would take long even sa bill-out. the food doesn't seem to appetizing to me. and with slow service, my husband would kill me if i would recommend him a restaurant like this. :P peace! Hmm, that's a good "pakulo" for a restaurant - DIY pan cakes. Nice to have something to get yourselves busy with while waiting for your orders. However, since you said, it's a bit pricey there, they should have done something not to keep the customers waiting.